​Genre: Third-person shoot 'em up. You’d think making games based on giant robots pummelling the snot out of each other would be super easy but, as gaming history has proven, that sadly doesn’t seem to be the case. While the original PS2 instalment of Transformers was good, those based on the noisy Michael Bay trilogy often disappoint. However, High Moon Studios’ War for Cybertron steers clear of those movies, giving gamers an experience based on the beloved cartoon series. While perhaps not the most optimal of third-person shooters, it manages to get enough right to make it worthwhile to fans of the source material. 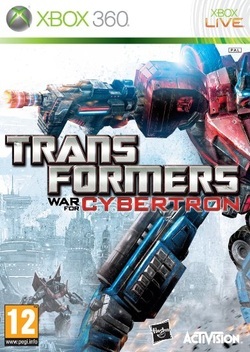 Much like any piece of Transformers media, War for Cybertron depicts a power struggle between the Autobots and Decepticons, lead respectively by Optimus Prime and the megalomaniacal Megatron. The campaign divides its chapters between the two forces, letting you experience the story of the Decepticons sabotaging Cybertron and then fixing said sabotage as the Autobots. It feels a tad strange having to fix a mess that you create yourself, but the option to jump ahead into the Autobot campaign remedies this. The overall plot lacks satisfying development at times, but it’s melodramatic enough to keep you going, especially if you love the films or cartoons. 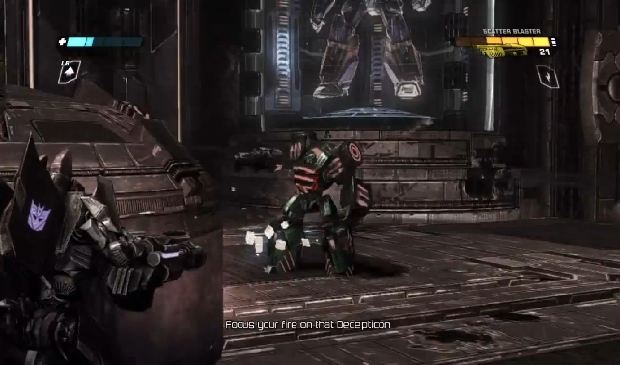 War for Cybertron is very much a third-person shooter, and at times its execution is hit-and-miss. The game spreads itself over ten chapters, each taking about an hour to finish. It can feel dragged out as a result, as while lasting a good ten hours, missions feel bloated, especially later ones which can take longer due to frustrating segments. The campaign can feel repetitive too, as most levels follow the same directive: kill any enemy blocking your objective, activate something at said objective and then repeat, ad nausea. 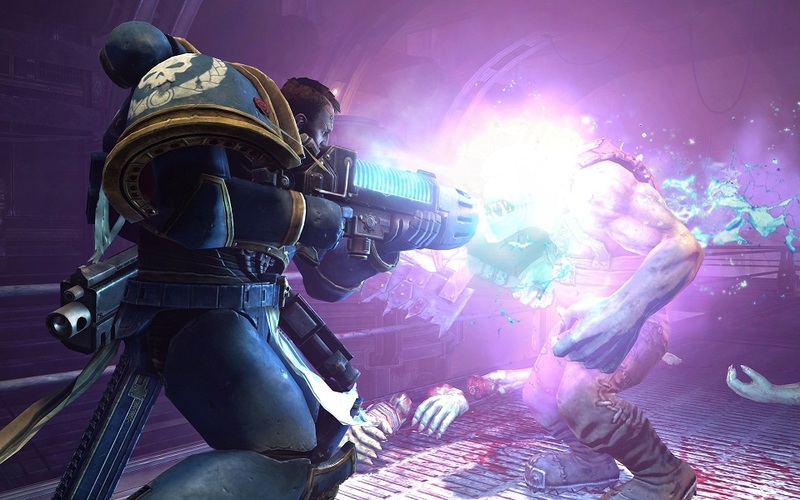 Shooting itself isn’t always fun either, as a lack of a cover system can leave you feeling exposed, while a scarcity of ammo often forces you to mindlessly run around using melee combat, which is hardly fun. AI can also be wildly inconsistent – which goes for both enemies and friendlies – causing you further headaches, such as when friendlies completely ignore the fact you’re about to perish and continue forward. Though flawed, there’s undeniably some appeal in how High Noon have utilised the source material. Transforming feels great, as with the press of a button, you can morph into character-specific vehicles, ranging from cars to planes. These all come equipped with weaponry, adding a bit of flair to the gunplay, and controlling vehicles feels smooth and simple. Some vehicle-specific sections come into play too, and these are fun, while some interesting boss fights – particularly the huge final encounter – are fun to blast at. There’s a decent range of weapons too, such as EM shotguns, mini-guns and rocket launchers, which add variety to combat even if the sheer number of foes can drag fights out. Campaign also gets a nice boost from three-player co-op for the entire thing, and the ability to revive comrades helps alleviate some frustration. WFC holds a good deal of appeal for multiplayer junkies, in fact. On top of the campaign, players can partake in a horde-styled Escalation mode and competitive skirmishes. Escalation may seem derivative, but the added twist of currency from kills keeps things interesting as you can spend credits on health, ammo and better weapons. That, and the sheer size of the waves, keeps things frantically fun. Competitive multiplayer also borrows some modern-multiplayer tropes, including classes and an XP ranking system. Each class can be levelled up to 25, and Prime Mode allows you to prestige and start again. The modes are pretty standard, bar Code of Power which furiously tasks players to acquire a giant melee weapon in lightning-fast rounds. In fact, many matches benefit from a frantic pace and yet spacious maps also offer a good sense of scope. Multiplayer, in general, is rather fun, even if kill-stealing can be a bit too common. Star Wars Episode IV: Death Of... No, that wasn't it. Unfortunately, a lacklustre visual design can trample on a lot of WFC’s successes. While robots animate well and explosions look rather pretty, everything else is lacking. Characters become pixelated up close and suffer from awful lip-synching during cutscenes. Worse is the drab colour palette, evoking thoughts of “Gears of Cybertron” rather than a game based on a cartoon. Strong audio does pick up the pace, particularly the cast. Originals such as Peter Cullen make an impact, while others do an admirable job of replicating the cartoon’s original voiceovers. Many of the sounds – such as transforming – feel ripped from the cartoon, and an appropriate score makes the game feel like good fan service on the ears, if not the eyes. Let’s be clear: War for Cybertron is far from the best shooter. If it didn’t have the strength of the license, you could easily drop a couple more points from the final tally. The campaign can be repetitive, frustrating and drawn out, often handicapping players due to a lack of ammo in too many spots. However, the power of the source material – in particular, transforming itself and the music – redeems the game to a considerable degree, adding spice to the plentiful combat encounters. Though its solo mode isn’t much to sink your teeth into, fun multiplayer modes make it worthwhile for those wanting a long-term shooter that’s a bit different. If you’re a fan of the license – and maybe even have friends who share your passion – then War for Cybertron is easy to recommend. Everyone else may not be as impressed, though you could do a lot worse.